Sandwiched between Jesus’ triumphal entry into Jerusalem and his cleansing of the Temple is this short story of hunger, dissatisfaction, and cursing. I puzzled over this passage today, particularly the inclusion of the phrase “because it was not the season for figs.” Is Jesus throwing a temper tantrum because he was hungry? Did he not know it wasn’t fig season? Is he being unfair to this fig tree? With these questions in mind, I set out to research this puzzling passage. The first thing I discovered was that Jesus interacting with a plant is rarely just about the plant. An olive tree or a vine is usually a visual metaphor of Israel. In particular, the fig tree was seen as the leadership or the rulers of the garden. In the minds of the disciples, the fig tree would represent the leadership of the people of Israel. Second, I discovered that Jesus was not ignorant of his plants. 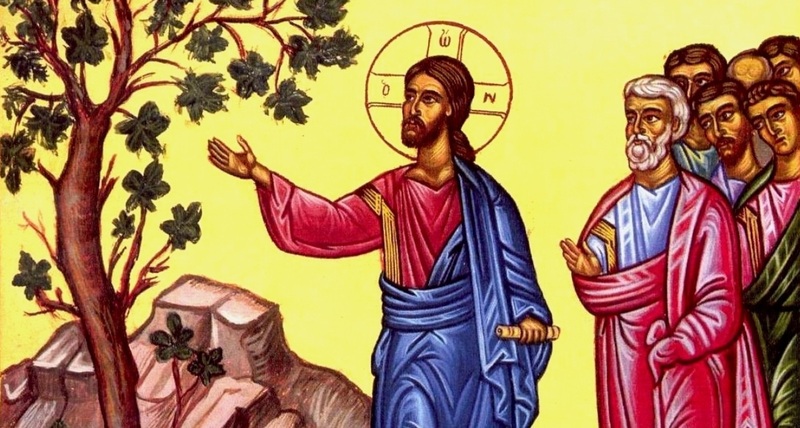 If you look in the Greek, it does not say that Jesus went looking for ‘fruit,’ but for ‘something.’ During the season of Passover (when this story takes place), there would have been no mature figs on the tree, but there would have been buds. Jesus sees the leaves of the fig tree in the distance and would have hope to see buds amidst the leaves. These buds could be eaten to sustain someone who was hungry. What Jesus was looking for when he came to the tree was not full mature fruit, but signs that there would be fruit in the future. When we put these two discoveries together, we find that Jesus is hungry for more than just a few buds from a fig tree. The previous night, Jesus visited the temple, where he “looked around at everything.” He came to look for signs that there would be fruitfulness. From a distance, everything looked healthy; there were leaves on the tree. But once you got close, it was only too apparent that no fruit would come from this tree. Even though this was not yet the harvest, there should have been buds to indicate future fruit. The leadership and the temple it oversaw looked healthy from a distance, but Jesus finds no buds, no sign of imminent fruit when he comes closer. So Jesus curses the tree, and in doing so, symbolically curses the leadership to fruitlessness. What at first looked like a puzzling interlude now reveals itself to be telling the same story. Upon arriving in Jerusalem, Jesus comes looking for the fruit of faithful leadership, but finding none places the leaders under judgment.